I got an app that starts a service when the phone boots and monitors various things. My problem is that if the app itself, the memory usage jumps from 40mb or so to 300 or more, with 5 things running instead of 2. Is there a way to release/close the activity alongside with the other processes? Hi, by Is there a way to release/close the activity, what do you mean? Do you want to release the memory used by the activity? 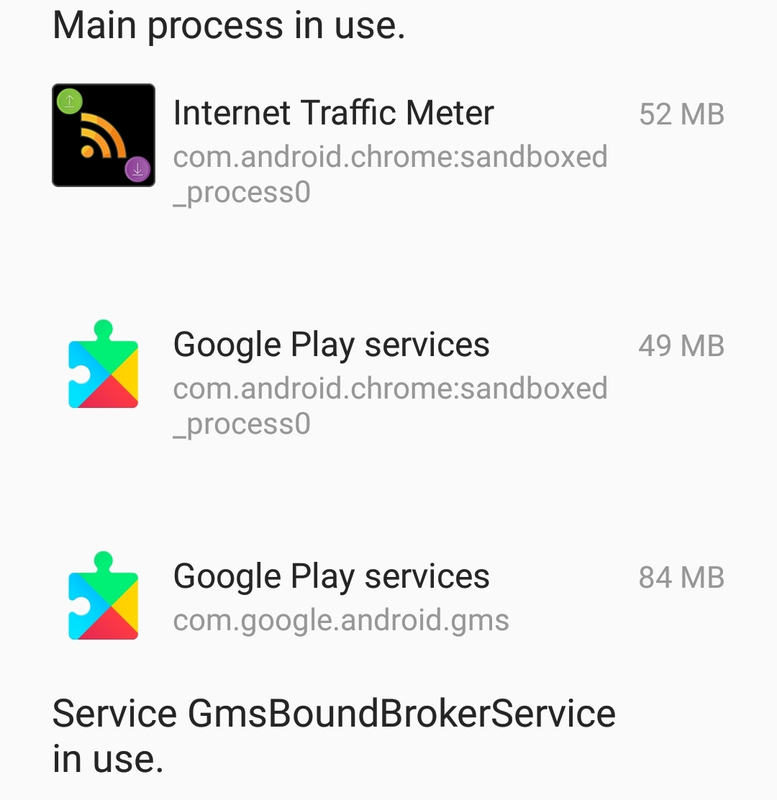 When the app is started via the boot receiver, it only has 1 process and 1 service, when its started via the app itself, after closing the app it leaves 4 processes and 1 service open. I need to close those 3 processes that are running alongside for no reason. How did you create the other 3 processes, by add android:process in your manifest? If so, you just need finish the Activity, or stop the service, or unregister the broadcast. I don't which way have you used to create the remote process, can you show me? Or can you show some pictures about your 4 processes and the service? Ok, if the process is created by third part lib, you can use this, if the process created by your app, kill them as I have said above. Please open your phone's setting, find the running process, and check their package, screen shot, and then post it. The pictures can help me to analysis. How come normal? I cant find a way to close them and they are shown only if I open and then close the app instead of a boot launch. Ok, can you show what third part lib have you referenced in your project? Must I write the string inside which process i want to kill for example like this: com.android.chrome:sandboxed_process0 ?